the penultimate picture: in this picture, Todd is actually talking smack to Gray about how Catalina beat him to the egg she’s holding. real mature Todd, real mature. the final picture: the strained expression on my face is due to me trying to get the egg out of Gray’s hand before he throws it against the house (again). 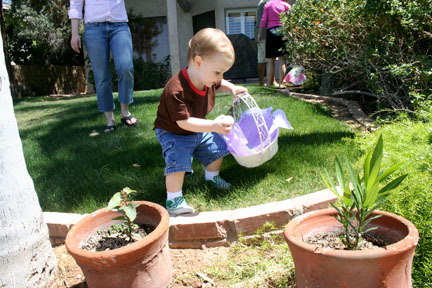 that’s right, my house was egged on Easter by my grandson. Probably his Mom told him to do it because she wasn’t happy about how the adult hunt ended up. Omg! 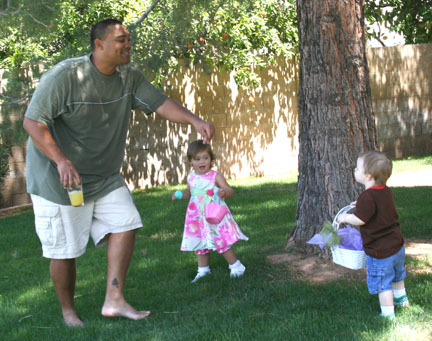 That picture of your dad trying to stop Gray from killing that egg is HILARIOUS. I’m comin’ to your house for Easter next year! Too fun! that was a beautiful recap, thank you mini. You did fail to mention that you provided the brains to win the tie breaker for team U oF A (bear down!) which in turn gave me the W over Todd and makes me 1-0 in Tolar Easter Egg Hunts. Also note: In the last picture that while saving the house from being egged was important (arguable if that’s even possible with hard boiled eggs) It was not important enough to put down the coozied Coors Original. I am crying, I am laughing so hard. JT, if you are reading this, Scotty’s got you nailed with the coozied Coors Original comment. Oh, good Lord. I hardly see how it improves the situation (my house being egged) by spilling perfectly good beer. Come on people, FOCUS! The school colors for NAU are Navy Blue and Sage Green. You are all crazy! Blue and GOLD are NAU’s colors, they use the sage green for marketing purposes only, but the sports teams wear blue and gold… I don’t know what kind of jeopardy game this family is trying to run!! Oh God. Leave it to our school to have plural errors on the website. And seriously, when was the last time you are at NAU? This sage thing has to be a marketing ploy. Whadyabet it has something to do with the one school that gets any recognition? The school of forestry folks. Okay, this is becoming a rant about my university. Sorry Min. I just want to know how many bruises were given by Todd pile-driving anyone in his way. Here’s the link I found that says blue and gold, the true colors of the mighty Lumberjacks. Verifiedonly eight short months ago. How you like that? 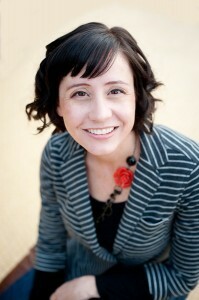 If those are NAU’s colors, then team Merrill won! Hollow victory Scotty. Hollow victory. The kind of comitment Bobby and I showed by diving for the balcony egg can’t be found on any stat sheet. We went hard and have the bruises to prove it. I’d also like to compliment Bobby for crushing my sternum while I was pinned under the hot tub cover. My screams of pain and terror fell on deaf ears and I was unable to reach the egg. Well done. Overall, the Tolar clan brought a level of competition to the table that scares me even now. 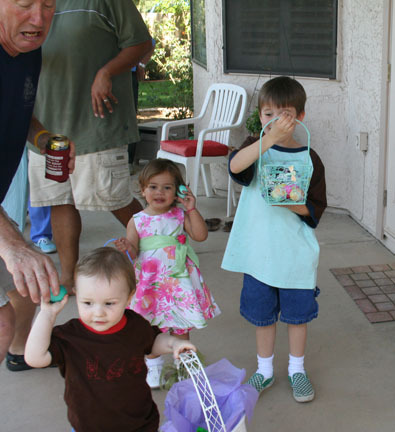 I will forever think of The 2006 Tolar Family Easter Egg Hunt as the one that got away.